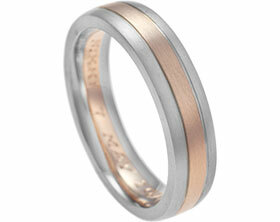 Emily and Rob wanted the design of their wedding rings to reflect one another. 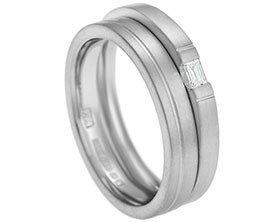 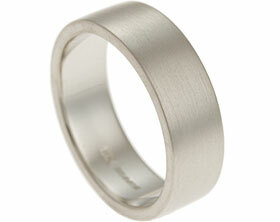 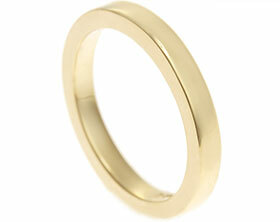 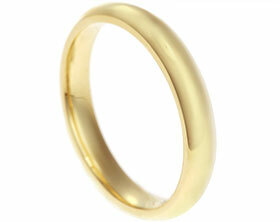 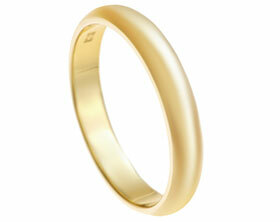 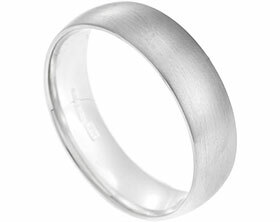 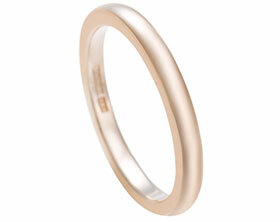 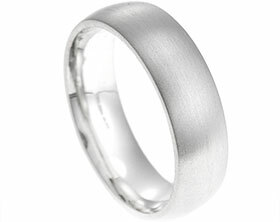 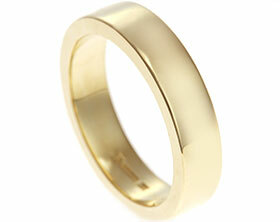 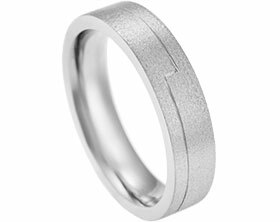 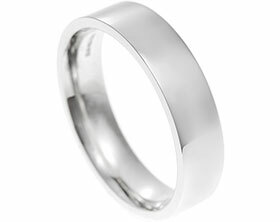 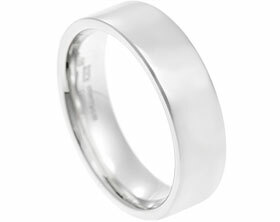 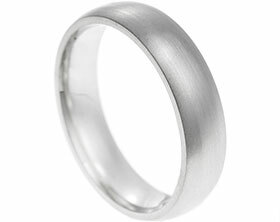 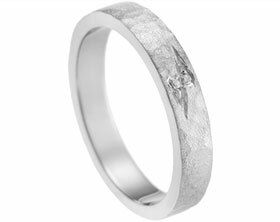 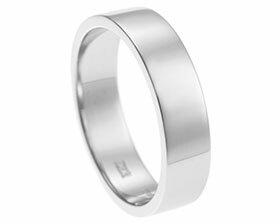 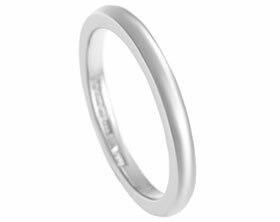 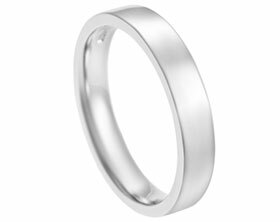 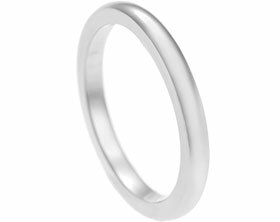 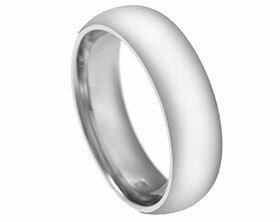 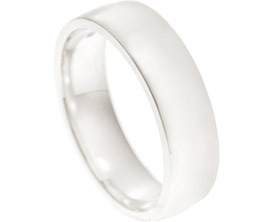 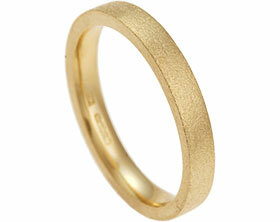 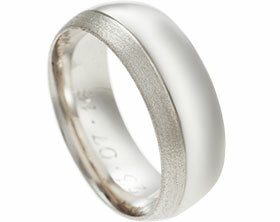 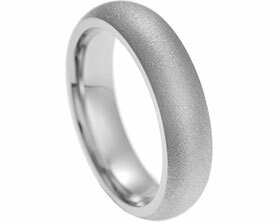 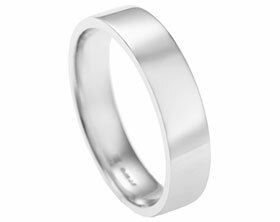 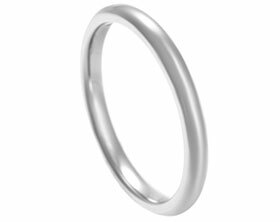 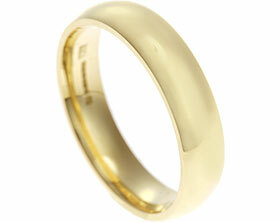 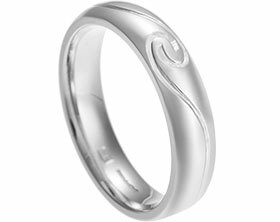 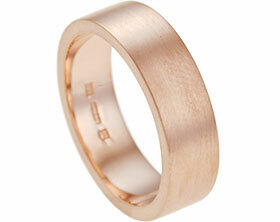 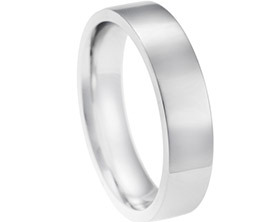 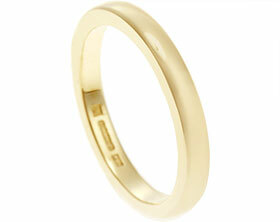 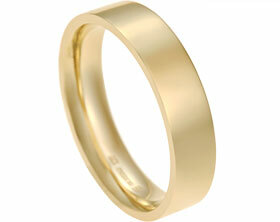 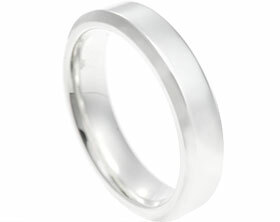 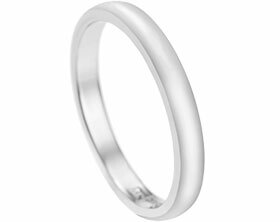 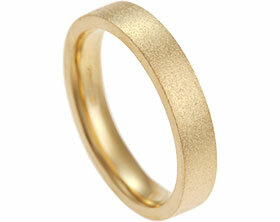 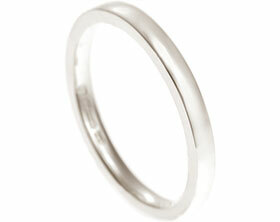 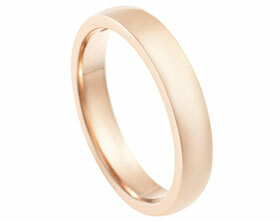 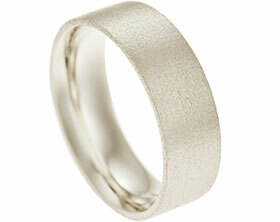 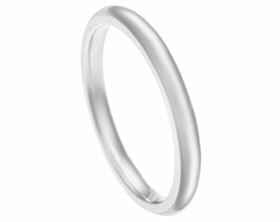 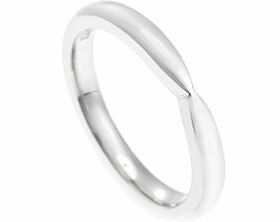 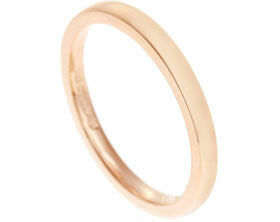 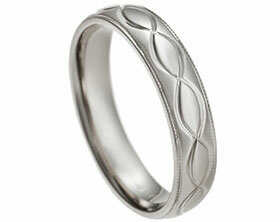 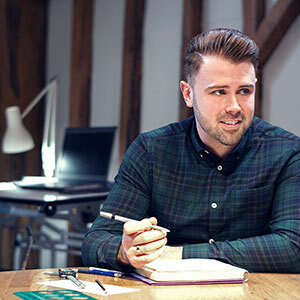 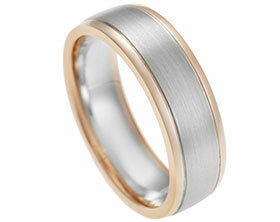 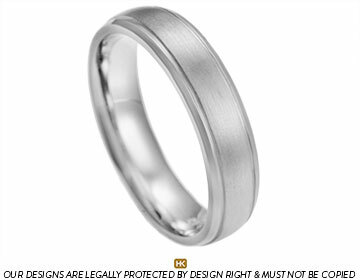 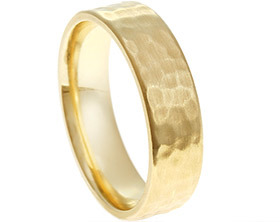 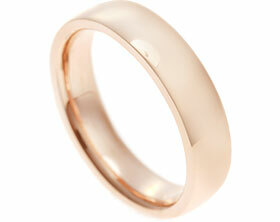 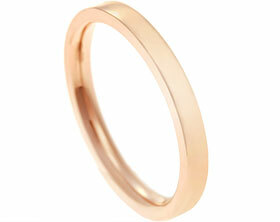 Rob chose a 5mm wide palladium wedding band in a courting profile for its comfort and curved appearance. 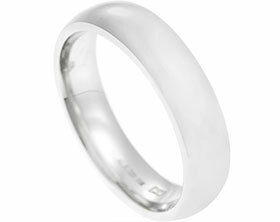 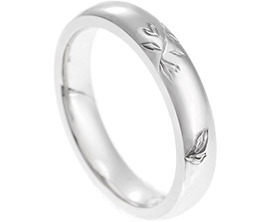 The ring features two hand engraved lines along the band to mirror Emily’s wedding ring and contrasting satinised and polished finishes have been applied either side of the engraved line.